Earlier, he had reached two finals of Australian Open and French Open but lost to Novak Djokovic both the times. Andy must be looking to clinch his third major in a single year. The Scottish player must be well aware of the Canadian and can’t take him lightly. Though Murray ranks nubmer 2 and has a slight edge over the opponent, he will be tested by Raonic for sure who is one of the best servers in the game. He has served up to 144 mph against Roger Federer in the semifinals. It looks like the match has got fascinating as Murry is considered as one of the best returners of the ball. Murry had faced jo-Wilfried Tsonga in the quarterfinals. If Murray wins, then it will be his second Wimbledon title and third grand slam title. While, Raonic has got to play his first major final. Raonic defeated Federer in the semifinal round. That must have given him immense confidence. Andy should know that Raonic is stronger at the grass courts. However, he should just concentrate on his game. Murray has a better record against Raonic as the scottish player has won five times in the last 6 matches. The Scot has a better game from the baseline and is capable of winning any game with his shots. Last time, they met in the final of Aegon Championship which held in June this year. In the game, Murray rose from a set lose to win the title. The world number six player must have learn something from that game and should not repeat those mistakes again. Raonic will try to get his serves right at the point and to break the serves of Andy Murray. However, we can’t predict the winner of Wimbledon 2016 final by services rather both the players will have to be at the top throughout the game. In the first three round, Raonic won without losing a single set. hwoever, David Goffin made him to struggle during the fourth round, then Sam Querrey in the quarterfinals, and Federer in the semifinal. After passing all these stars, he reached the final. Such tests must have made him better. Murray is already the fan favorites and can lead his way to victory to clinch the Wimbledon Cup (trophy). Let’s see who wins. Raonic vs Murray Wimbledon 2016 final is scheduled to start at 2 p.m. local time (6.30 p.m. IST, 9 a.m. ET). Below are the full TV and live stream information. India: TV: Star Sports 1 and Star Sports HD1. Live Streaming:Starsports.com and Hotstar. UK: TV: BBC Two and BBC One. Live Streaming: BBC iPlayer. Asia: TV: Fox Sports Asia. Live Streaming: Fox Sports Play-Asia. China: TV: Beijing TV, LeTV Sports, Jiangsu TV. Europe: TV: EuroSport. 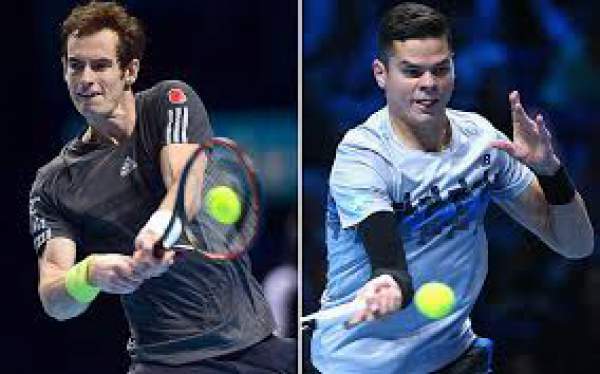 Andy Murray vs Milos Raonic Live Score Live Streaming: EuroSport Player.